Instagram has been around for a few years now, and has grown to be one of the most popular sites in the world. It began in 2010 and has grown to have more than 300 million users and get bought out by Facebook. But what can it do for your business? Well, it’s another social network — just behind the behemoths of Facebook and Twitter, but you’ll need to fully understand the difference if you’re going to use it to market your company. Whereas the other major players have a very mixed demographic, Instagram is popular with a much younger group of people — mainly those in the teens to late twenties. 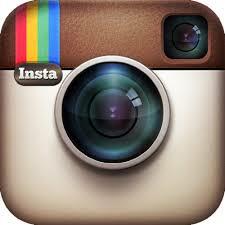 So if your service/product is likely to be a hit with that age group, Instagram may well be a good avenue to choose. If your customers tend to be from an older market then this might not be the best choice at present — things may change in the future, but it’s the way things are at present. The next question you’ll need to ask is whether Instagram already has images that have some relevance to your offerings. If not, there’s probably not much value in continuing with this approach. However, if you’re still finding that this may be viable, there’s a number of steps to take. It’s not necessary to continually post on Instagram. Much like the other networks, people will start to become blind to your output if it is a never-ending collection of posts that don’t grab their attention. A couple of times each week can be all that’s needed to keep your fans. Make sure your profile is complete, and has a link back to your main website. This will let Google see that your brand has activity taking place elsewhere on the web in addition to your own website. Find out what your competition and related companies are doing. Follow them and see if there seem to be any approaches that are working well in your industry. While it doesn’t work very well on Twitter, using plenty of hashtags on Instagram is something that works well and allows you to be found easily. So don’t hold back! If you want to hear the latest news from the horse’s mouth, go to http://business.instagram.com/blog/, where you will get tips and advice from their own people on how to make a success of their site. To compete with Vine, Instagram has now added Video functionality, and lets you include videos of up to 15 seconds in comparison with Vine’s 6 second clips. Whether it’s a discount code, competition or a freebie, give something to your followers and they will be more likely to stick with you and repost your content in the future. 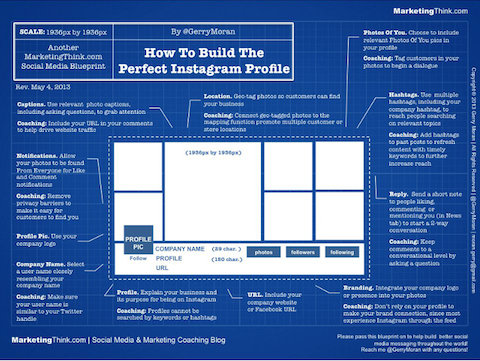 By using all of these tips together, your Instagram profile will be off to a healthy start. The integration with Facebook makes sharing your content even easier now. If you have any question about how to take this further, then please do get in touch.